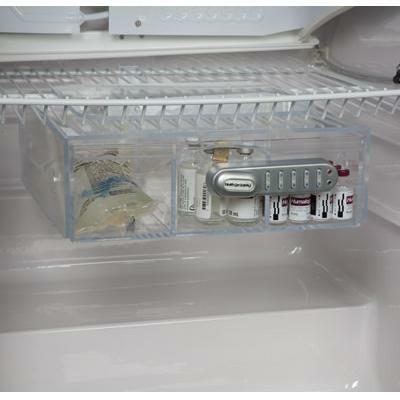 Clear locking non-tilting refrigerator storage box organizes and secures temperature-sensitive meds. Tilting style also available (#18541, 18542 and 18543). Non-Tilting acrylic medication storage containers are available in three locking styles: Key Lock, Keyless Entry Digital Lock and Dial Combination Lock.